Production Hire offer an Amp Dry Hire service, this service is for when equipment only is required and clients do not have a requirement for engineers or technicians. Equipment can be collected from our premises or we can deliver and collect if required. 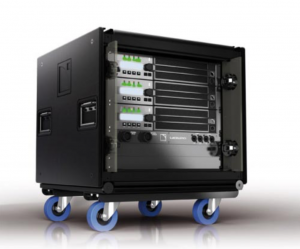 We have a wide selection of top of the range amp racks available for dry hire. Click one of our products below to see more info or contact our experienced team and they will be happy to assist you in meeting your amp dry hire needs. Cutting edge loudspeaker amplification, DSP, network. Loudspeaker amplification, 96 kHz/32 bit DSP, Ethernet network. The power amplifier platform of the PLM 20000Q integrates several new developments to maintain reliable, sustained output at unprecedented power levels.